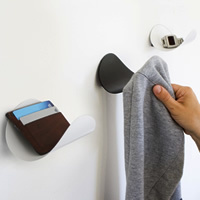 We love this neat idea by designer Jordan Murphy. 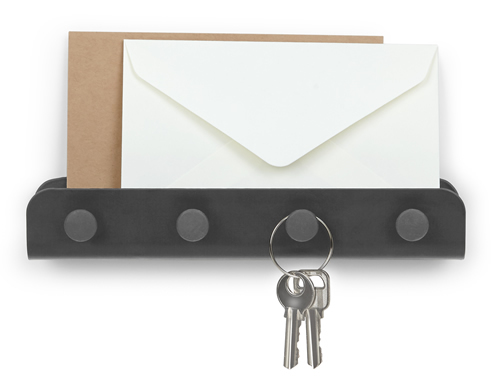 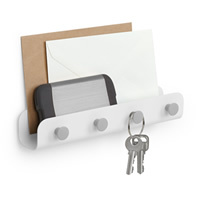 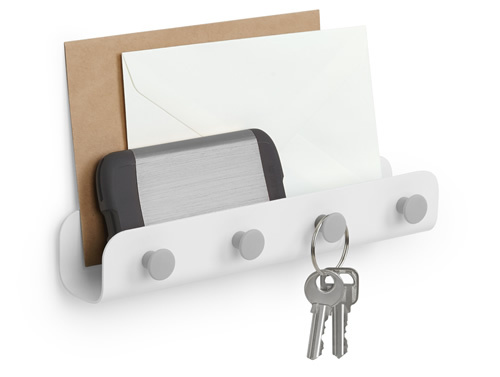 Available in a white and grey or matt black metal finish it's a great hallway organiser for post, keys, mobile phones, wallets etc. 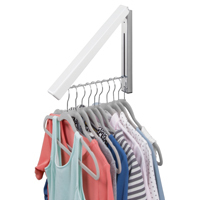 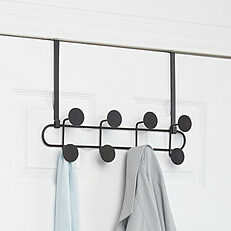 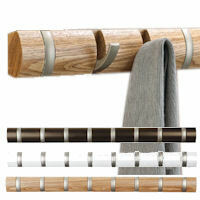 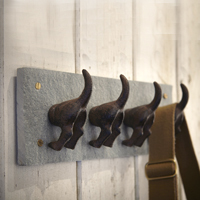 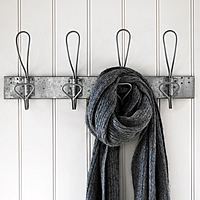 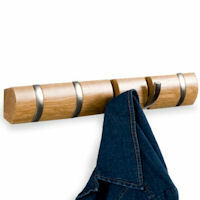 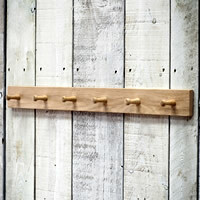 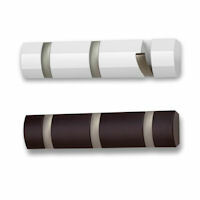 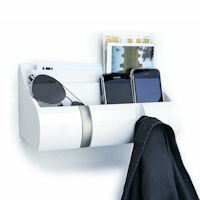 The simple modern design will fit into any home and the mounting hardware is hidden for a seamless look.